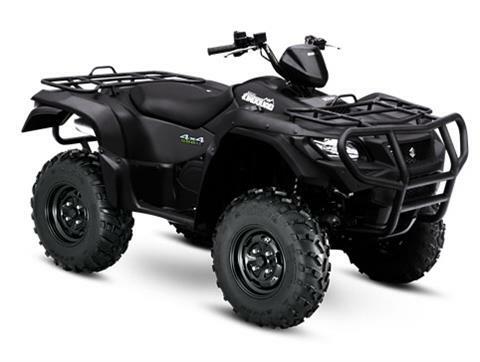 The Rugged Package 2017 Suzuki KingQuad 500AXi Power Steering Special Edition is wrapped in sleek, matte-black bodywork and comes equipped with beefy front and rear bumpers, and wide, protective mud flaps that live up to their robust looks. The 493cc liquid-cooled power plant features a precise Suzuki fuel injection system and twin iridium spark plugs that help ensure easy starting, excellent throttle response, great fuel efficiency, and reduced emissions. 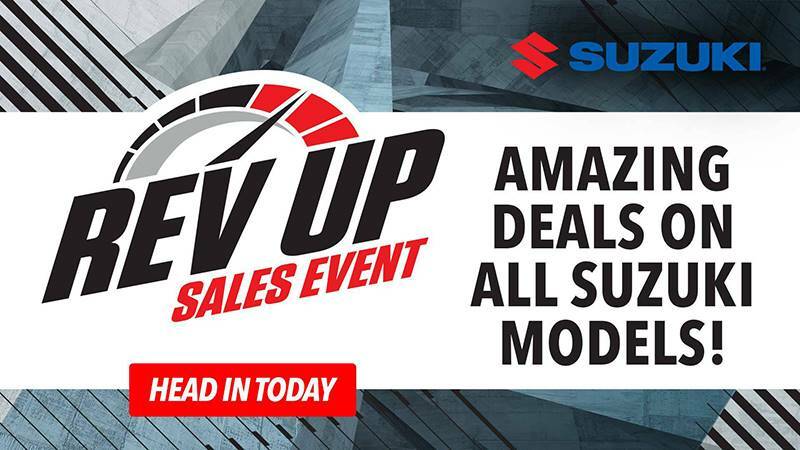 Reduced effort from the power steering permits higher handlebars for increased rider comfort, and Suzuki's plush T-shaped seat delivers rider mobility during spirited or difficult terrain riding. Precision built in Rome, Georgia the KingQuad 500AXi Power Steering Special Edition with Rugged Package is ready for any utility task or outdoor adventure. High traction 25-inch CARLISLE tires are mounted on strong, yet lightweight, aluminum wheels. he rugged steel-tube cargo racks have wrinkle paint finish for durability and scratch resistance.